Lisbon is becoming an increasing popular destination for foodies. 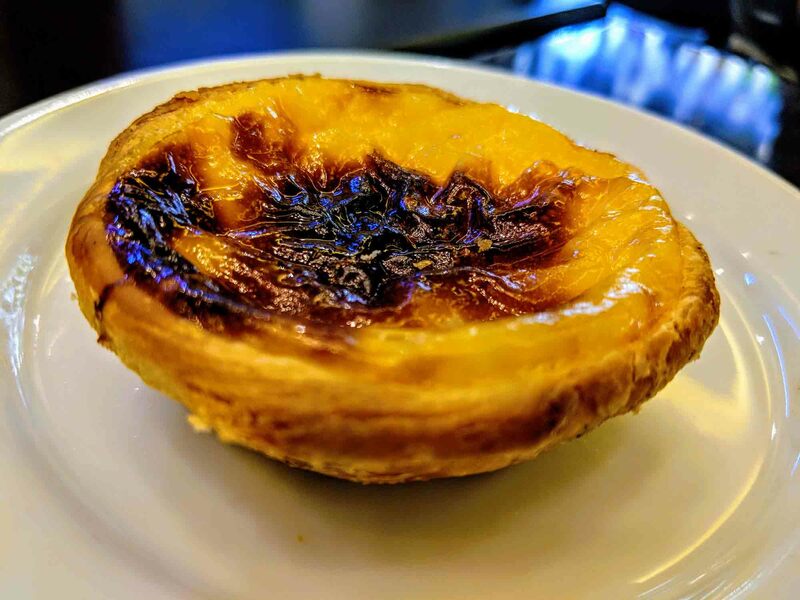 It’s home to one of the world’s largest and best food markets (the Time Out Market), it’s the birthplace of the pastel de nata, and it’s a great place to try a few of Portugal’s many different dishes. Whether you’re visiting Lisbon for a few days, a few weeks, or even longer, this foodie guide will take you through all you need to know about Portuguese food and what you should eat in Lisbon. As well as a Lisbon guide for foodies, we’ve also written several other Lisbon guides like the hipster guide to Lisbon, the gay guide to Lisbon, and the digital nomad guide to Lisbon. The pastel de nata (or Portuguese custard tart) is Portugal’s most famous culinary creation. Although you can now find them in bakeries all over the world, they’re often just not the same as the ones you find in Portugal. Lisbon is where the pastel de nata was created, and it’s here that you’ll find some of the best natas in the country. Pastéis de Belém is the main bakery, and the first commercial bakery to begin making pastéis de nata, but they’re not the only place that does. They’re also not necessarily the best. A number of new bakeries have opened in recent years, and many of them have even won the city’s melhor pastel de nata award. They also tend to have a much nicer atmosphere as they’re less busy than Pastéis de Belém. Of course, that doesn’t mean you shouldn’t go to Pastéis de Belém. For foodies, it has to be on the list along with a few others like: Manteigaria, Aloma, and Fábrica da Nata. Read our full list of the best places to get a pastel de nata in Lisbon. Love pastéis de nata? Why not learn how to make them for yourself by taking a Pastel de nata cookery class? Obviously you’re going to be busy trying all of the different pastéis de nata in Lisbon, but the pastel de nata is just one of many Portuguese cakes and pastries that you can try while you’re here. Unless you’re staying here for a few weeks or longer, you won’t have time to try them all. Here’s just a few cakes that you should look out for, though. 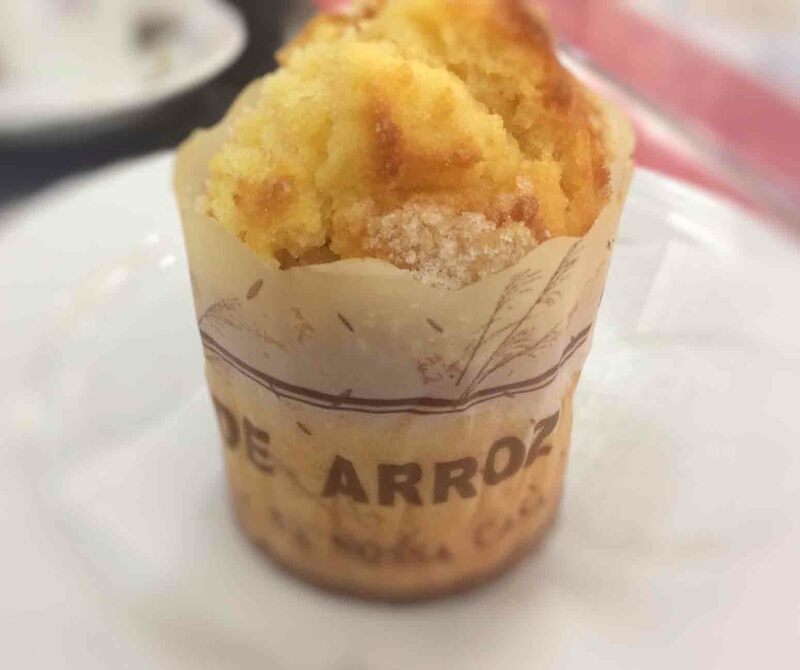 For more information and pictures, see our guide to Portuguese cakes and pastries. You’ll be having coffee with your cake, of course, and it’s worth knowing a little about Portuguese coffee. You can get hipster coffees like flat whites in Lisbon (or hipster anything), but you’re more likely to get international cakes and foods than Portuguese dishes in a hipster café. People tend to drink a bica (espresso) throughout the day and a milky coffee like a galão or meia de leite in the morning. See the Portuguese coffee guide for more info. If you’ve never been to Portugal before, there’s a good chance that you haven’t really tried Portuguese food. There’s so much to try (as seen by out big list of traditional Portuguese foods) and it can be difficult knowing where to begin. If you only have a short amount of time in Lisbon, here are just a few of the things that you should try. Caldo Verde: This is Portugal’s favourite soup and, if you eat out frequently, there’s a good chance you’ll get served this for a starter. Bacalhau: The Portuguese love bacalhau, which is cod that has been preserved in salt. There are more than 365 different ways to cook it, and some of the best dishes are bacalhau com natas (bacalhau cooked in cream), bacalhau lageiro, and bacalhau com broa. Sardinhas Assadas: If you visit Lisbon during the summer months, be sure to try some grilled sardines. One of the best times to try them is during the feast of St Anthony which takes place every year in June. Leitão: Leitão is roast suckling pig, and you can usually either get it as a sandwhich or you can get a plate of it. Polvo à Lagareiro: Baked octopus that’s covered in copious amounts of olive oil. These are just a sample of the different dishes that you can find in Lisbon. Some, like frango piri-piri (Algarve) or the francesinha (Porto) are more typical to other parts of the country, and you’re better off trying them there. If you want to go “where the locals go” or if you’re interested in keeping the budget down, look out for tascas or pastelarias. These are cheap and cheerful, but a good place to get traditional Portuguese food at a reasonable price. In between breakfast, lunch, and dinner, there’s always time for a snack or two. 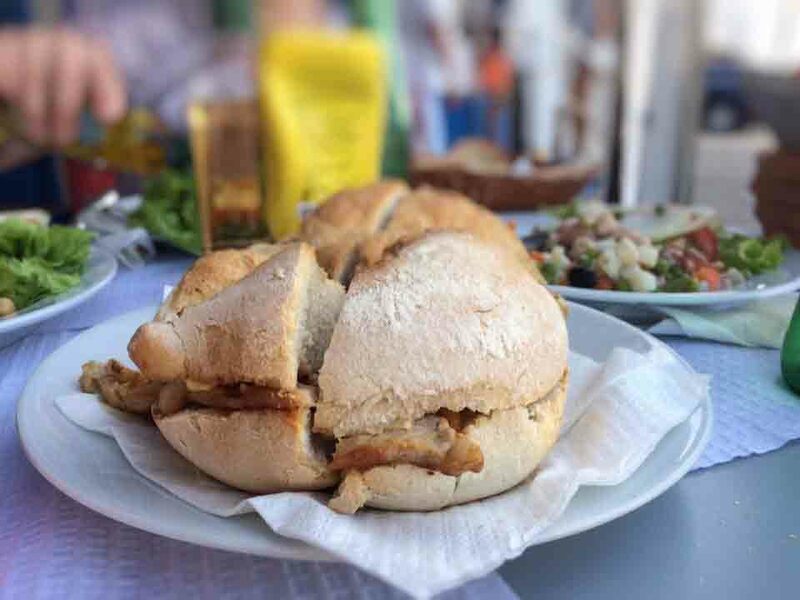 Portugal’s best snack is probably the bifana, a simple but delicious pork sandwich that’s cheap and always hits the spot. Petiscos are essentially Portuguese tapas and, if you’re feeling like a couple of small things, this is a good way to go. Many bars have petisco menus, and you’ll also find some places that focus on them entirely. 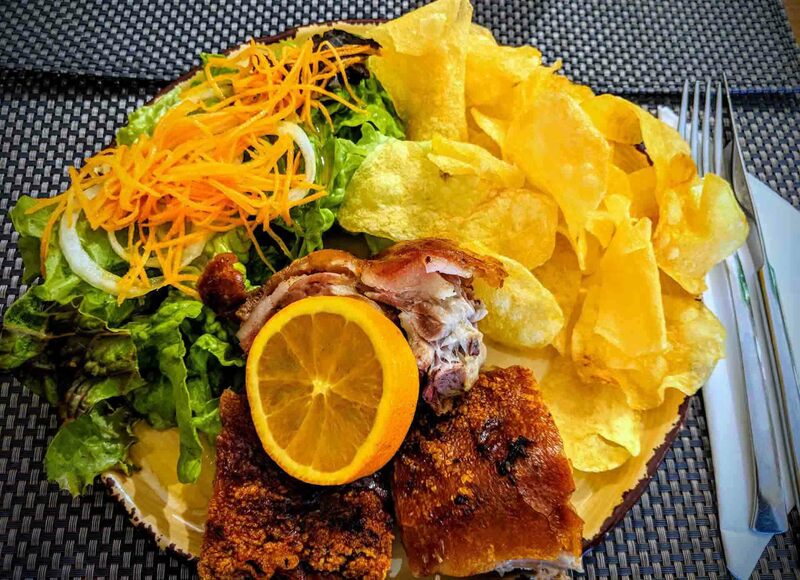 The petiscos menu isn’t always the most exciting menu, but a few dishes to look out for include pastéis/bolinhos de bacalhau (salt cod fritters), pica pau (fried steak pieces with pickles), and salada de polvo (octopus salad). Many places also do cheese boards, or cheese and meat boards, and this can be a good place to try one or two Portuguese cheese. If there’s one cheese that foodies absolutely must try, it’s queijo da serra. Then there are what’s known as conservas, which are tinned foods like tinned sardines or tinned tuna. In Portugal these are somewhat of a delicacy, and they’re made to a much higher standard than most other countries. It’s worth trying some either as a petisco or buying some in a shop and having them at home. Street food isn’t a big thing in Portugal in the same way as it is in Asia and other parts of the world. There are a couple of examples of Portuguese street food like farturas and roast chestnuts, which you’ll find at outdoor events, but for the most part the Portuguese don’t tend to eat on the street: they like to go to the café instead. The Portuguese café is just where everything happens in Portugal, and where you can eat just about anything. You can get your breakfast there, cakes and pastries, lunch, launch or a snack, a bifana and a beer – you name it. 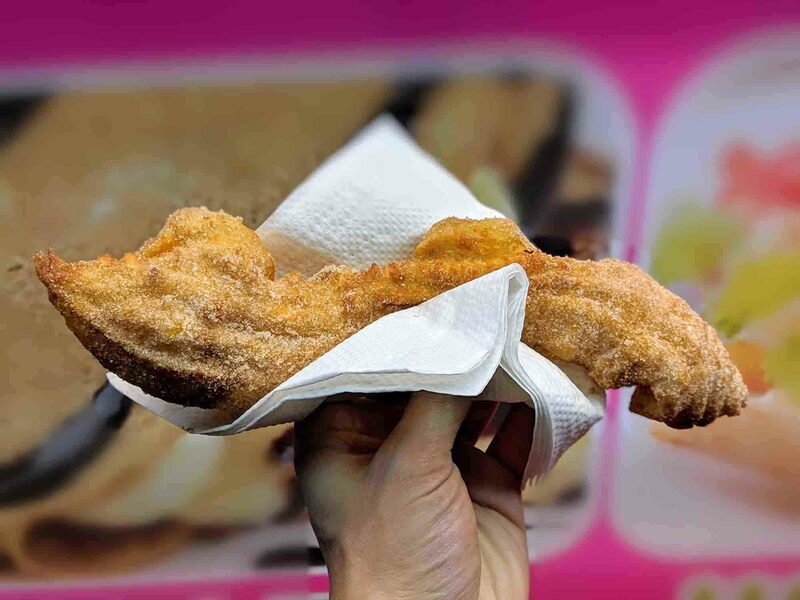 There are a few examples of Portuguese street food that you can try but, to really discover Portuguese food culture, you’re better off focusing on the café culture here. 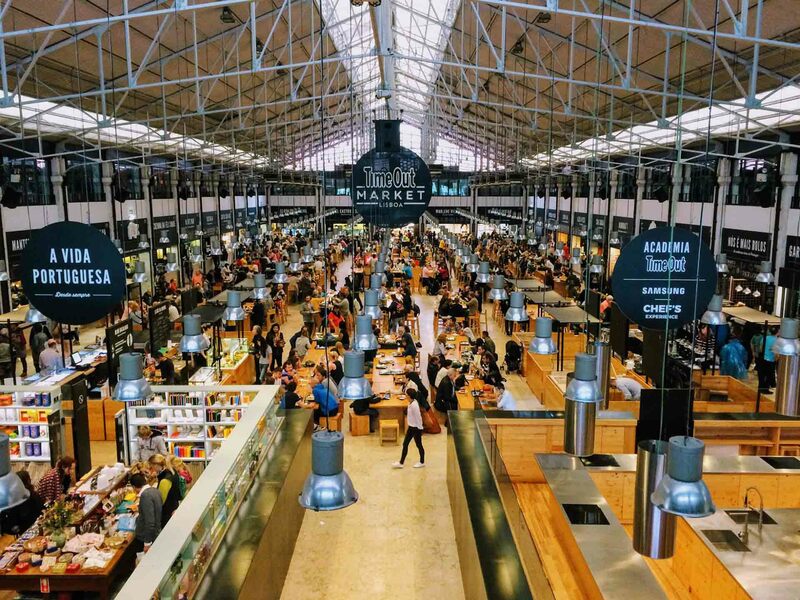 Lisbon’s Time Out Market is another foodie paradise, and it’s a great place to sample food from many of Lisbon’s best restaurants. The Time Out Market isn’t Lisbon’s only market, though. There are also smaller foodie markets like Mercado de Campo de Ourique, and then those that just sell fresh produce as well. If you’re self-catering, it’s worth shopping at one of Lisbon’s many markets. You’ll find great quality fruit and vegetables here, but the most exciting part is probably the fish section. There are few countries in the world that have such a great selection of fish, and it can be fun to try them all. If you’re unsure of how to cook anything, nine times out of ten simply bake it with salt and olive oil and it’ll be delicious. A few years ago, it was hard to find great international food in Lisbon. If you wanted to eat out well, your best bet was to stick with Portuguese food. This is still valid a lot of the time, but there are some great international restaurants in the city as well. 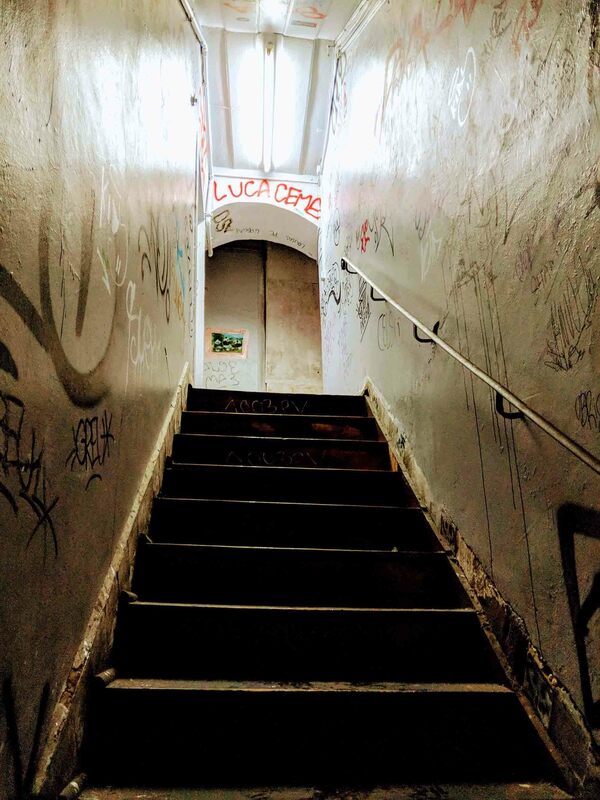 Foodies may want to check out one of Lisbon’s illegal of clandestine Chinese restaurants, which are found in apartments near Martim Moniz. There used to be a lot of these restaurant in the city, but many were shut down a few years ago. A few still exist, although it’s hard to know how many are legitimately illegal anymore and how many now have a licence. Certainly the ones calling themselves illegal Chinese restaurant are probably actually legal. One of the most well-known is Rua da Guia 9 (the street name). If you really want to go underground, though, your best bet is to wander around this area and follow your nose. The restaurants often have Chinese banners and decorations hanging from the windows, and then it’s just a case of wandering into the apartment block and trying to find the restaurant. Chinese isn’t the only cuisine you can find in Lisbon. Macanese food is also available, and is something you might not find in a lot of other cities. You’ll also find food from other former Portuguese colonies like Brazil, Mozambique, and Goa. As well as food, Lisbon has plenty of great things to drink. Wine: Portugal has some great wines, and most visitors to Portugal are relatively unfamiliar with Portuguese wine. There are many wine regions and styles, but look out for vinho verde (a sparkling white wine), as well as reds from the Douro and Alentejo. Ginjinha: Ginjinha is a sweet cherry liqueur that’s typical to Lisbon, and it’s definitely worth trying it while you’re here. Port: Port is obviously more typical to Porto, but that doesn’t mean you can’t try it in Lisbon. You’ll find it in the supermarkets and garrafeiras (wine shops), and you’ll also be able to get it in most bars and restaurants as well. Take the time to try a few different varieties (LBV and White Port are always recommended) as well as Portugal’s favourite new cocktail: Port and tonic. Medronho: Medronho is a Portuguese spirit made from the fruit of the Medronho tree, that’s typical to Monchique in the Algarve. It can be tasty as a shot, and it’s often used in cocktails as well. Beer: Portugal’s two main beers are Super Bock and Sagres, and Sagres tends to be more typical in Lisbon. There’s also a growing craft beer scene in Portugal, and there are a growing number of Portuguese producers. Gin: Gin is also becoming popular in Portugal, and there are quite a few unique Portuguese gin producers. Some of these are only really available in Portugal so, if you’re a gin lover, it’s worth trying them while you’re here. Have you been to Lisbon? What did you eat and what did you drink? 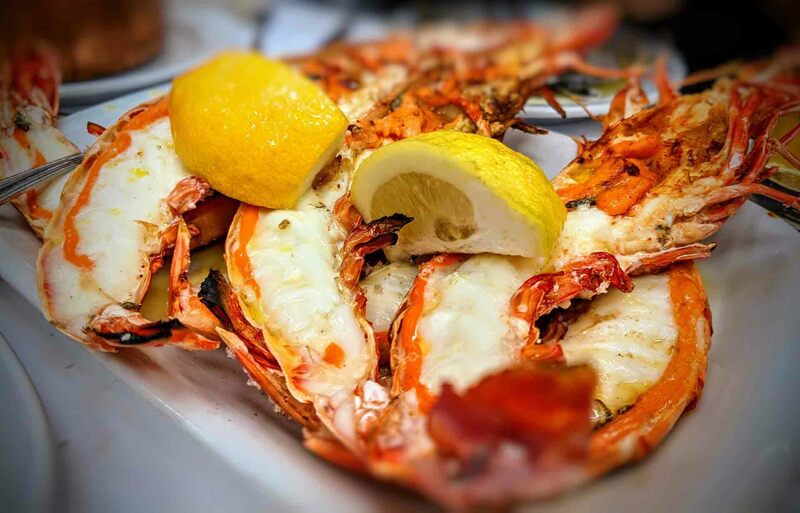 Share your foodie recommendations and reviews for Lisbon by leaving a comment below. Great guide…really appreciate the info and photos…well done!